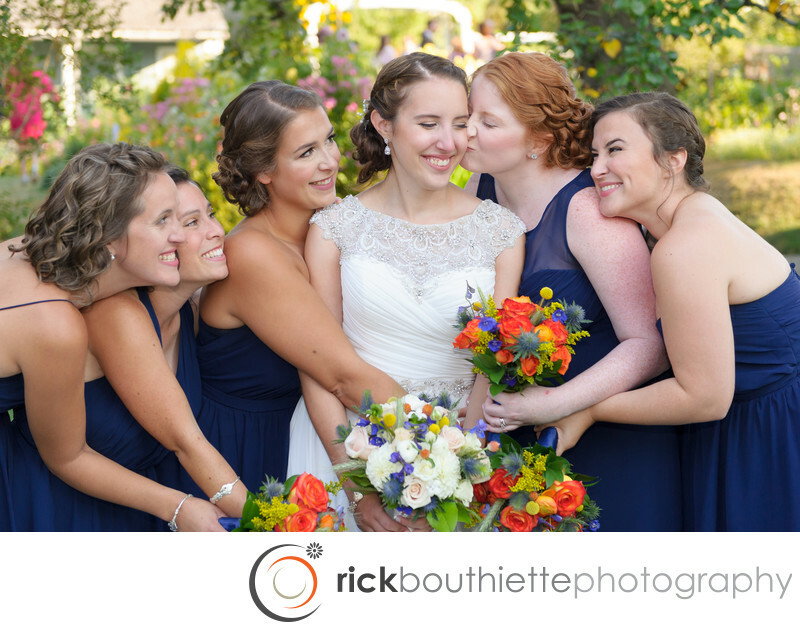 Shawna + her bridesmaids have a little fun after the wedding ceremony in the garden at the Moffatt Ladd House in Portsmouth, NH. The Moffatt-Ladd House & Garden (1763), one of America's finest Georgian mansions, and home of two declarations of independence. The Garden was laid out in its present form by Alexander Hamilton Ladd in the late nineteenth century. His daily records reveal that he obtained plants from the gardens of his mother and grandmother and that he was an enthusiastic bulb gardener.